/EINPresswire.com/ -- SOUTH PLAINFIELD, NJ--(Marketwired - Feb 9, 2017) - PolarityTE™, Inc. (NASDAQ: COOL) today announced it has appointed Steve Gorlin to the Board of Directors. Mr. Gorlin has extensive experience building successful biotechnology companies, and is a leader in regenerative medicine, pharmaceutical drug and medical device research and development. "We are extremely excited to announce Steve Gorlin as a new member of the PolarityTE™ Board of Directors. With over 40 successful years in the field, he remains a leader and serial entrepreneur in regenerative medicine, biotechnology, and wound care. Having founded and managed a variety of cell therapy, pharmaceutical, and medical device companies, including MiMedx, EntreMed, Hycor, Medivation, Medicis and NantKwest, he is without a doubt a truly valuable innovator," said Denver Lough, MD, PhD, Chairman and CEO. Newly appointed board member, Steve Gorlin, remarked, "I could not be more enthusiastic to join the Polarity team and Board of Directors. I look forward to bringing the revolutionary regenerative technology of Polarity to every patient that it can benefit. Upon learning about the platform and team behind this company, I knew I was staring at a winner. The passion of Dr. Lough and his team is palpable, which is always a critical ingredient to any business endeavor, and especially in biotechnology. I understand why he and Dr. Swanson left their plastic surgery training program at Johns Hopkins to pursue this technology, because it is clear that they have the potential to impact many more lives with Polarity than they ever could achieve as surgeons." During December 2016 PolarityTE entered into an Agreement and Plan of Reorganization to acquire certain intellectual property rights developed by Dr. Lough. Completion of the acquisition is subject to a number of conditions, including stockholder approval. There can be no assurance that the conditions will be met or that the acquisition will be successful. The Acquisition, and our business generally, is subject to a number of risks that are more fully described under "Risk Factors" that appear in our filings and reports with the SEC. 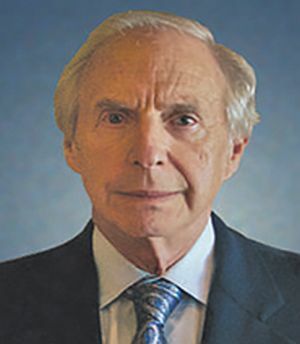 Over the past 40 years, Mr. Gorlin has founded several biotechnology and pharmaceutical companies, including Hycor Biomedical, Inc. (acquired by Agilent), Theragenics Corporation, CytRx Corporation, Medicis Pharmaceutical Corporation (sold to Valeant for approximately $2.6 billion), EntreMed, Inc., MRI Interventions (MRIC), MiMedx, and Medivation, Inc. Mr. Gorlin has served on the Business Advisory Council to the Johns Hopkins School of Medicine and has previously served on The Johns Hopkins BioMedical Engineering Advisory Board. He also serves on the Board of the Andrews Institute. He founded a number of non-medical related companies, including Perma-Fix, Inc., Pretty Good Privacy, Inc. sold to Network Associates, Judicial Correction Services, Inc. sold to Correctional Healthcare, and NTC China. He started The Touch Foundation, a nonprofit organization for the blind and was a principal financial contributor to the founding of Camp Kudzu for diabetic children. He presently serves as the Vice Chairman of NantKwest, and serves on the Board of NTC China, Inc.